This was the first Senior Tigers meeting with the new committee. 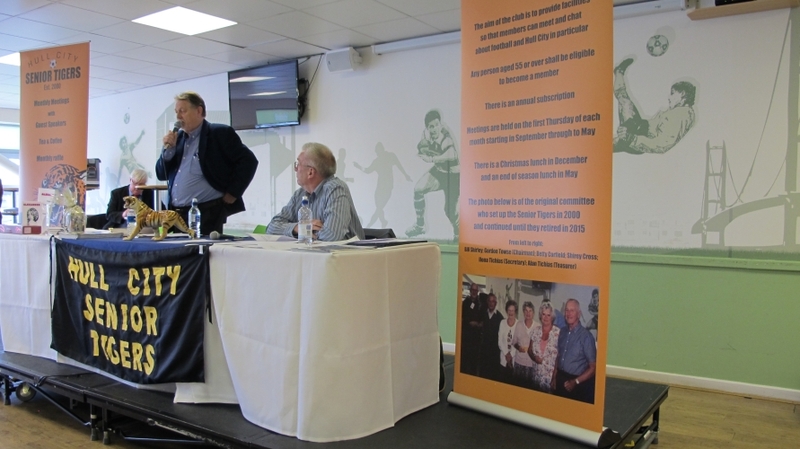 The meeting started with a buffet lunch provided by the football club, with James Mooney the Commercial Manager of Hull City as our guest speaker. For this meeting with had the pleasure of Tony Pennock the Manager of Hull City's Academy as guest speaker. 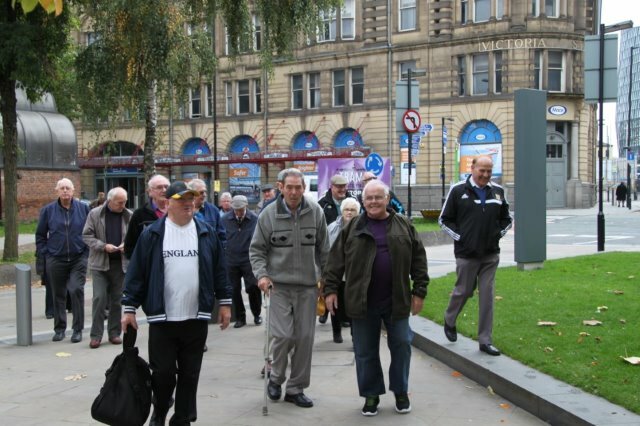 40 members visited the National Football Museum in Manchester for a tour. The tour guides were taken aback with all the knowledge that our members had, and from that, suggested that they will make a "Hull City AFC' display to coincide with our City of Culture year. It was a relaxing day, with plenty of time to have lunch and a walk round the old Corn Exchange. More than 60 members visited the Academy training ground at Bishop Burton. 48 members went by coach, and the others went in their own transport. We were made very welcome and were extremely impressed with the facilities that are there. Although it was a cold day, we managed to watch some training. Afterwards, we all assembled in one of the refectories at Bishop Burton college, for lunch. Some of the trainers joined us to chat at the tables. The college made us aware that anyone can go there for lunch - you do not need to book in advance. Dr & Mrs Allam, James Mooney & Dean Windass were guests at our Christmas Lunch in the 1904 suite. Dr Allam provided a complimentary glass of his infamous Chairman's wine for the members. This meeting brought the double act of Assistant Manager Mike Phelan & Dean Windass as guest speakers. We were the guests of Pete Smurthwaite to Bridlington Town's ground. We were greeted with coffee in the Seasider's bar and given the history of the club by Pete himself. 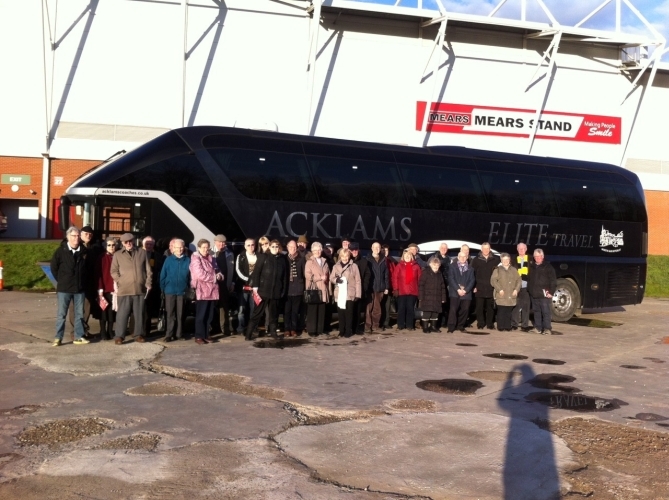 Acklam's sent us the 'team coach' and although there were only 24 of us - we really travelled in style! We had a tour of the ground, and hope to return, in this coming season, to sponsor a game. We were then recommended to the Revelstoke Hotel, for a lovely carvery lunch. Some had chance for a walk along the front, whilst others enjoyed that extra drink. Pete had then arranged for us to go down to the harbour, where the Harbour Master gave us a very interesting talk on its history. This meeting brought about another double act in Peter Smurthwaite, owner of Bridlington Town football club and Billy Heath, manager of North Ferriby FC. This visit took us to the New York stadium in Rotherham. At that point, we were sitting at the top of the league, and they were on the bottom, and we wondered were we would all be at the end of the season. We were joined by members of their senior supporters group - the Mature Millers. It was a very interesting afternoon, we had a talk, tour and tea and biscuits, and look out towards the old Millmoor ground from the viewing area. Again, because there were just 36 of us, we had the team coach. This meeting was moved because of a date clash with the game at Birmingham on our usual meeting day of the first Thursday of the month. The meeting started with a buffet lunch once again provided by the club. We had a very special guest speaker this month Hull City Manager Steve Bruce took time out of his busy schedule to talk about his career. Steve Bruce was presented with an honorary Senior Tigers membership, as he had recently become of age! What a great day this turned out to be! 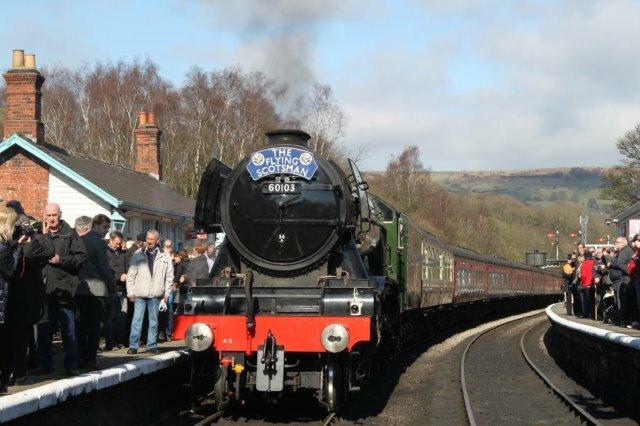 50 members and friends set off for Grosmont to see the Flying Scotsman. Barbara felt so lucky to get the assistance of the landlord of the local public house - the Station Tavern. He controlled the traffic in the village so that we could all be dropped off outside, and arranged for the coach to be parked alongside. We were greeted with tea, coffee and a lovely array of cakes. We had to literally walk outside the front door - there were plenty of viewing places, and the engine passed us 6 times. The lone piper played on the platform, and the atmosphere was amazing, although the lovely sunshine helped as well. One of the highlights of the day, was when the same landlord, Mark, found out that one of our members, Gerry Ashton, used to drive the Flying Scotsman, he assisted in arranging to get Gerry onto the plate. Although Gerry's mobility is restricted - he managed to get up there - with tears in his eyes. Our very special thanks go to Mark and his wife Shelley at the Station Tavern for all their help, and of course to Terry, our driver. The roads approaching the village of Grosmont were never made for coaches. Afterwards we headed to Whitby, were we had a late fish and chip lunch at Trenchers. This again was lovely, and the staff treated us very well. There was time for a walk along the harbour before our journey home. The format of the meeting had to be changed at the last moment due to the unavailability of our proposed speaker. We had Charles Lewis explaining the aims of the Executive Club in trying to provide funding for young non contract Academy players. 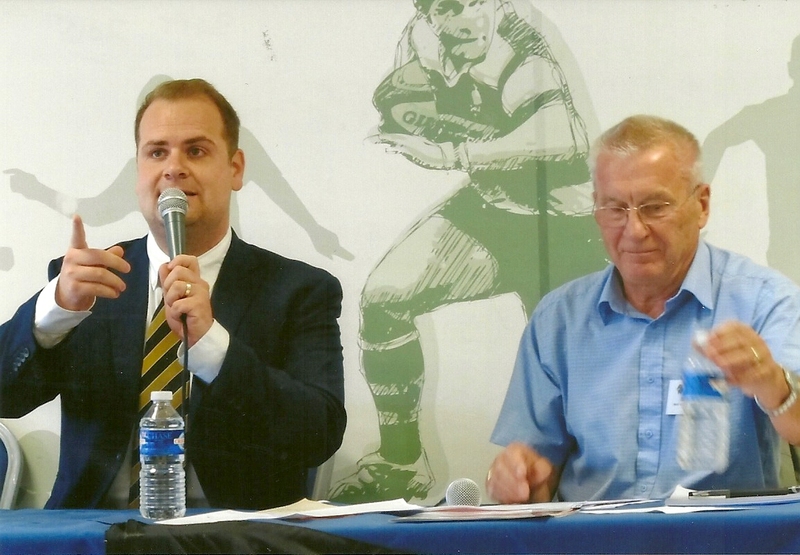 This was followed by Rob Milner giving his views on the problems of standing at away fixtures. We then had an open discussion on the proposed new membership scheme which resulted in a letter from the Senior Tigers expressing our concerns to the club. It was when we where on the New York Stadium, Rotherham visit, that one of the Mature Millers said that they had a trip to Salford Quays, and how much they had enjoyed it. This is when it was decided that we could incorporate a tour of Old Trafford and the Quays. 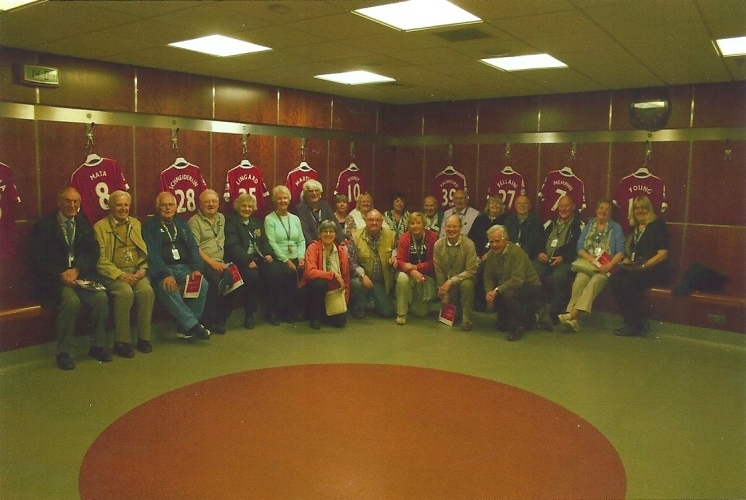 45 members came that day - 22 to go round the Quays, and 23 to do the Old Trafford tour. We had excellent tour guides at Old Trafford, and found the whole experience amazing. The others enjoyed a day shopping and visiting the museums, the Lowry Gallery and the Imperial War Museum. This meeting was held following a request from the members in order to discuss further the issues relating to the proposed Hull City Membership Scheme. Tesque habitant morbi tristique senectus et netus et malesuada fames ac turpis egestas. Pellentesque habitant morbi tristique senectus et netus et malesuada fames ac turpis egestas.